Welcome in the New Year by refreshing your home with this range of calming and fresh scents and this Linden Tree Small Jar from Yankee Candle, part of the Pure Essence range of fragrances. Fresh booming Linden enjoyed through the green leafy sunlight of a quiet day. Top notes of Hosta Leave and Linden Blossom mingle with middle notes of Viburnum, finishing with base notes of Musk and Cedar wood. This small classic jar candle has a burn time between 25-40 hours and reflects a warm and comforting sense of style that’s always at home, be it in the bedroom, the bathroom, the living room, or anywhere else you see fit. A fabulous gift for a friend or a treat for yourself. Be inspired by the warmth, freshness and soothing notes that bring any home to life this New Year. 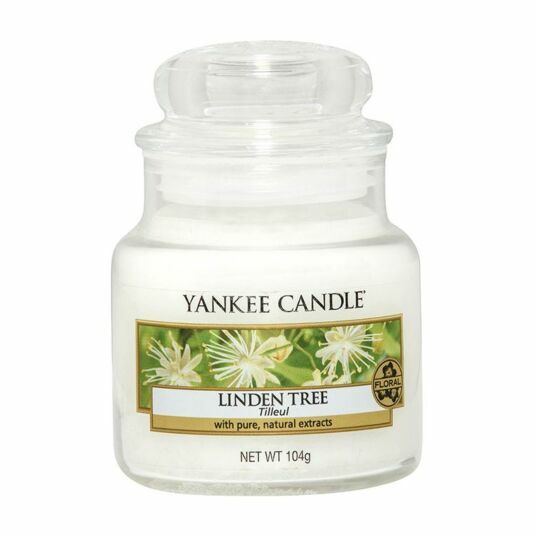 Recreate the gentle breeze of a Linden Tree in full bloom, add cool notes with the freshness of Wild Mint and create an enchantingly sophisticated atmosphere with beautiful Cherry Blossom.